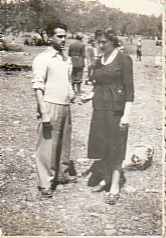 Above: With his paternal auntie, Ourania. 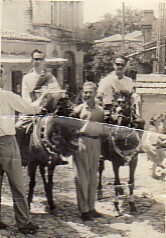 Above Middle: With his brother, Nikolaos (left) at the panygiri of Agios Haralambos. 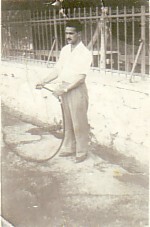 Above Right: Watering the garden and yard.